Which is not to claim that recording poses no problems to analysis. The most manifest is the possible inhibiting or distorting effect upon the conduct of the analytic work. Historically, therapists have always couched their reluctances to record in terms of the presumed anxieties and senstivities of their patients. But it seems to be an exceptionless experience that where recording has been done it is the therapist who has been the more anxious and disturbed. The patients have seemed less manifestly distressed and have accommodated more easily and quickly. Haggard, Hiken and Isaacs (1965) have noted the possible contagious impact of the therapist’s doubts and anxieties. They state too that therapists who are made anxious tend to exaggerate the extent to which their patients are anxious. These anxieties generated in the analyst have several identified sources. Concern over professional exposure is, of course, uppermost. Gill et al. (1968) address themselves to a deeper, less overt source of anxiety in the analyst. They point to the gratifications in the analytic situation which lead analysts to resist intrusion: ‘Autonomy is always relative, and the power and pervasiveness of infantile drives is such that they must find an expression … The analyst would have to yield some of these gratifications if he opened his work for inspection’ (pp. 241-242). No wonder that Carmichael (1956) talked about how the majority of analysts whom he approached to participate as therapists in such a project expressed great interest in it but evaded a personal commitment; they didn’t have time or didn’t have a suitable patient. Carmichael said that they ‘preferred to remain at a distance from it, expressing doubts about the validity with which the therapeutic process could be represented under such condition’ (pp. 56-57), a viewpoint which he characterized as both a legitimate issue and a rationalization. Whatever the case that can be made out for the presumed necessity of recording in at least some kinds of psychoanalytic research, a salient question concerns the impact of the fact of recording upon the analysis (again, no matter how well analyst and patient appear to be able to accommodate to the intrusion). Stated simply, the question is: Does the analysis become vitiated in any serious way as an analysis? This is not the same as asking whether the recording will have an effect as a major parameter, which no one can deny. Rather, as put by Haggard, Hiken and Isaacs (1965), ‘The question is not, Would the therapy have been exactly the same if there had been no recording? 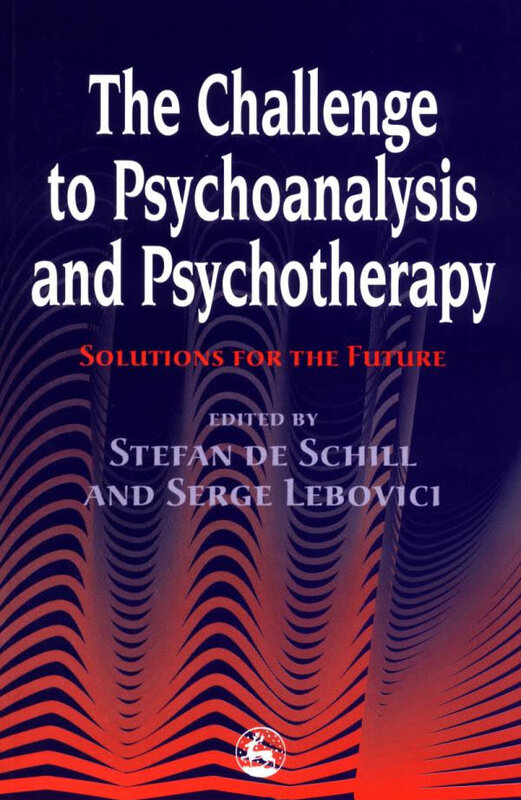 but is rather, Did this particular therapy, even though recorded, possess those components—free association, transference, interpretation, and so on—which characterize and must occur in psychoanalytic therapy?’ (p. 173). Gill et al. (1968) have addressed themselves most extensively to this problem. They see the recorded research analysis as sharing at least two major attributes with another kind of different-from-usual analysis, the training analysis. These are (1) the absence of full confidentiality and (2) the existence of goals in addition to the therapeutic. These they acknowledge to constitute special problems for the analysis: ‘difficulties are introduced which may on occasion be enough to tip the scales against success. By analogy, however, we argue that a recorded research analysis is not in principle impossible’ (p. 23 7) (any more—or less—than a training analysis). Obviously, any aspect of the research context or any technical parameter of an analysis may be used defensively. Similarly, for the usual taken-for-granted safeguard of utmost confidentiality, ‘Whatever the desirable and rational reasons for maintaining it, it can carry hidden irrational and transference meanings as well’ (p. 238). The proposed handling of all of these issues is, of course, thorough analysis, which they feel is ‘not in principle impossible’. And this cuts both ways. Any analysis has a reality context so that ‘It is not merely deviations from the usual analytic situation which must be analyzed but so must the usual situation’ (p. 238). Haggard, Hiken and Isaacs (1965) take this whole issue further onto empirical ground. They bring a content analytic approach to a comparative study of material from recorded and non-recorded ‘control’ cases. They found no overall difference in the amount of concern expressed by patients over revealing intimate thoughts and feelings and having them scrutinized by another person, but with recorded subjects these concerns were mobilized earlier in the treatment course (that is, the impingement of the reality forced the pace of the material). They summarize that there is no conclusive empirical evidence as yet, one way or the other, in regard to the existence of an undue (significant) distorting effect. recordings. In that sense, the research is psychologically akin to supervision and needs to be frankly faced on that basis. What follows, as corollary to this, is that the therapist must be part of the research just as the supervisee is part of the supervision. This must be so not only for the analyst who tape records a case but for every analyst whose analytic material is offered for research study in whatever form. The analyst outside the research-study group will lack adequate motivation to do his part of the data-producing work—money and promised participation in authorship being unsatisfactory rewards in such situations. The treating analyst who is initially outside the research group will want to be inside it and, ifhe is in it at all, he should be in it all the way. Whether in or out of the group, the analyst will be concerned with the scrutiny of his work by professional colleagues and we feel that these anxieties are most likely to be mitigated by being part of a freely communicating group of friendly colleagues. The group’s inhibitions about criticizing a colleague, or temptations to do so, are part of the psychological reality of this type of study whether or not the analyst is part of the group. His participation in the group is more likely to permit mastery of these inhibitions and temptations, and achievements of relative objectivity, than the more uneasy situation of discussing the case, as it would seem, behind his back. studying a phenomenon or a process will reveal only certain orders of data, hopefully those that are most centrally relevant to the hypotheses and the theoretical framework of the investigation, and will never be complete in the abstract sense. Beyond this, the practical problems of the greater completeness—that is, comprehensiveness—of the verbatim data record are simply stated. The material is voluminous—miles of tape, with roughly 30-page typescripts of each transcribed hour and soon becomes overwhelming. Listening to the tapes and/ or reading the material, especially when it is of someone else’s therapeutic work, is enormously time consuming and rapidly becomes inordinately tedious. We become the hapless victims of a major dilemma for research method in our field that, like another field, electroencephalography, we mainly suffer from too much, rather than too little, data. Which is all to say that tape recording (or for that matter any other of the data gathering methods here proposed) can be neither categorically dismissed nor categorically defended. The major issue of the detrimental effect upon the analysis is an empirical one to be answered in the specifics of the investigation and the major issue of the value to the research is a theoretical one to be determined by the relevance of the data gathering method selected to the phenomena being elicited. (when compared to typescripts of tape recordings of the same hours) pick up observations crucial to the particular investigation. If such demonstration be successful for those particular purposes, there accrues the enormous research advantage of a 30 to 50-fold reduction in data volume into truly manageable proportions without significant loss or alteration of relevant information. study of the impact is impossible. Once made available, in whatever form and in whatever quantity, another whole order of problems in psychoanalytic research revolves around the question of handling the data in manageable ways that, nonetheless, remain loyal to the subtlety, complexity and richness of the clinical phenomena—again the dilemma between the significant and the exact. Here too there are thorny unresolved conceptual and methodological issues which will be delineated under the following headings: Of what order are the data? How do the data relate to the concepts? Are clinical judgments or interferences to be used as data? and The consensus problem or what to do when experts disagree? First, of what order are the data? At their most patent, the data of analysis are manifest behaviors. But, as Hartmann (1959) has put it: ‘While analysis aims at an explanation of human behaviors, those data, however, are interpreted in analysis in terms of mental process, of motivation, of “meaning”; there is, then, a clear-cut difference between this approach and the one usually called “behavioristic'” (p. 21). That is, the data of analysis are manifest behaviors, as interpreted by (to be specified) canons, according to which such interpretations can be consistently and reliably made. The successful solution of the problems inherent in arriving at such consistent and reliable interpretation rests initially on two necessary conditions: (1) the maintenance of meaning without significant loss or distortion as the data are compressed and are isolated from their qualifying context and (2) adequate definitional clarity of the nature of the events and phenomena, and the concepts according to which their meanings are understood. On the first of these, Lustman (1963) has said of the problems of categorizing and indexing psychoanalytic material for intracase and intercase analysis in the Hampstead Child-Therapy Clinic: ‘The success of this approach with large masses of psychoanalytic material coming from large numbers of patients remains to be demonstrated. By that I refer to problems of compressibility, fragmentation, and the loss of meaning when taken out of context … ‘ (p. 70). The second of these necessary conditions, that of adequate definitional clarification, likewise represents a still major unsolved issue for psychoanalysis. Though psychoanalysis has a well-established theoretical structure of explanatory constructs, on at least six levels of conceptualization and generalization varying systematically in remoteness from the observational base and in centrality and importance for the theoretical structure (Waelder 1962), it has not been able to achieve precise definitional clarification of even its most fundamental and most pivotal concepts. Simple, working ‘definitions’ can be formulated for ordinary clinical and heuristic purposes, as in the official Glossary of Psychoanalytic Terms and Concepts (Moore and Fine 1967). But there are indeed scientific complexities in the definitional process (and a major scientific labor involved in their elucidation for research purposes) that are beyond the usual capacity of conventional, pragmatic working definitions. Considerations of time preclude the discussion of examples of this problem at this point but I am sure that it is one that is painfully familiar to all who have thought and worked in this area. The need for clarification and the absence of agreement in this area of definition is presently so widespread that it almost becomes incumbent on each research group engaged in psychoanalytic research of serious scope to write its own glossary of terms, with its own idiosyncratic specifications of usage within the overall framework of psychoanalytic thinking. Second, how do the data relate to the concepts? This problem is multifaceted and one of peculiar difficulty for psychoanalysis because of specific problems inherent in its structure as a science. Rapaport (1960) states the general issue and its specific difficulty in application to psychoanalysis: ‘All sciences must subject observations to interpretation in order to establish their evidential significance for the theory. This is particularly conspicuous in psychoanalysis, where the concepts are by and large at a considerable distance from the observations’ (p. 16). This issue of the remoteness of the concepts from their observational base makes for special difficulties in the task of empirical hypothesis testing in psychoanalysis because of the additional complexities automatically introduced by the psychoanalytically necessary principles of multiple determination and over-determination.